Big in style, this bathroom is your sanctuary to rinse away the worries of the day, dating or simply relax. Write on chat “SHOWER ON” or “OFF SHOWER” to turn on or turn off the shower. 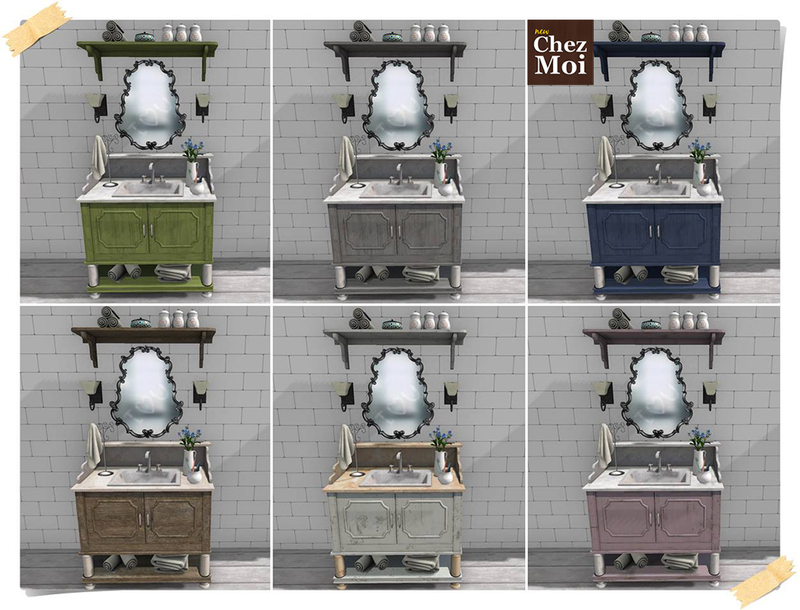 ♥ Shelf:: 9 in total to choose from. ♥ Including washing hands, brushing teeth, combing hair, drying hair, shaving, cleaning the sink, among others. Touch the lamps to light them up and turn them off. Super feminine and delicate, this lounger is for your moments of vanity or simply relaxing. 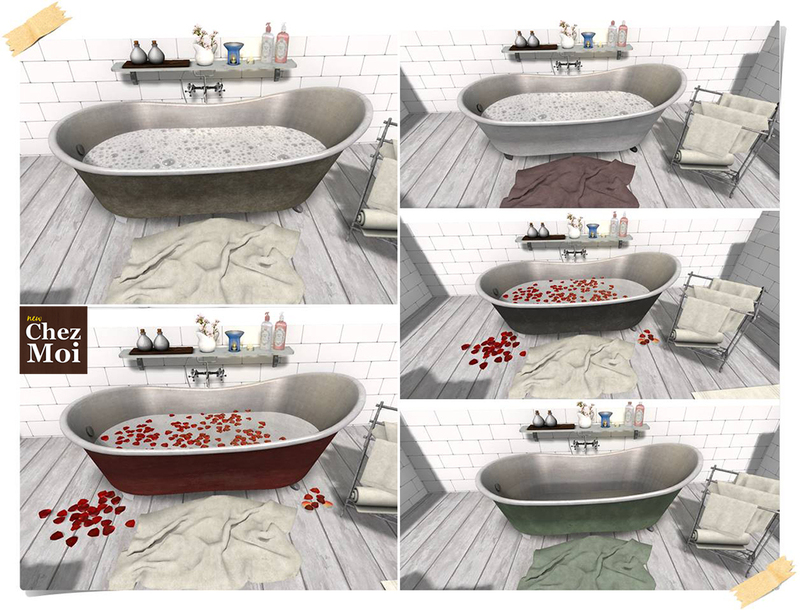 Texture-change options: Tap the daybed to display the menu: 9 combinations to choose from. 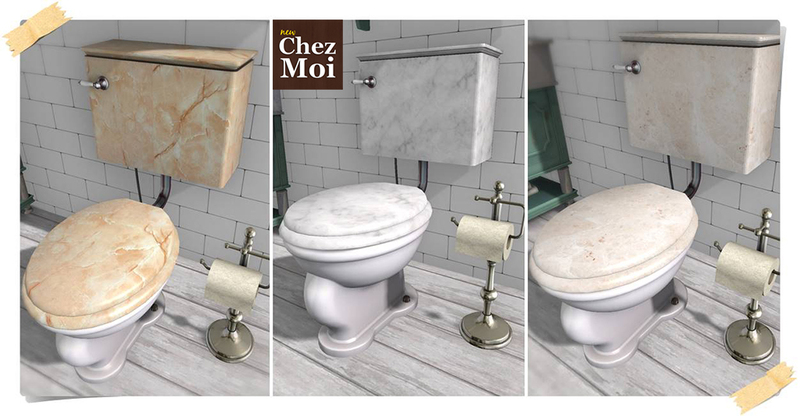 For more information CHEZ MOI MARKETPLACE, or for a closer look, visit our INWORLD STORE.